Happy July 4th from Working Well Massage! From the team at Working Well Massage to you, our readers and fans, we wish you a safe, happy and healthy Fourth of July holiday! Working Well Massage is closed today so that our staff can enjoy the holiday. We will be open again in Lincoln Park a t our WWM chair massage station inside Whole Foods Market Lincoln Park starting at Noon tomorrow, July 5, 2017. Stop by and see us to relax after your July 4th festivities! Read more about the history of July 4th here at History.com. Stretching throughout the workday is essential for good health. If you’re reading this, it’s likely that you’ve been sitting at a computer for an extended period of time. Did you know that sitting still for a long time can cause serious health damage? OSHA says that maintaining static postures, such as viewing the monitor, for a prolonged period of time without taking a break can fatigue the muscles of the neck and shoulder that support the head. Additionally, OSHA recommends that repetitive tasks or jobs that require long periods of static posture incorporate several, short rest breaks (micro breaks or rest pauses). During these breaks you should stand, stretch, and move around. This provides rest and allows the muscles enough time to recover. Read the excerpt from Susan Seliger”s article “Stretching Exercises at Your Desk: 12 Simple Tips” at WebMD for a few of the stretches you can easily perform in your workplace to keep limber throughout the day. You might have gotten a gold star in preschool for sitting still, but it just goes to show you (best sellers notwithstanding) that not all of us learned everything we need to know in kindergarten. “If you stand up and sit down (over and over) — without using your hands — it can be a challenge,” says Smith. It’s like doing mini-squats! Shake your head slowly, yes and no. With eyes level, use your grasp on the chair to help twist your torso around as far to the back of the room as possible. Hold the twist and let your eyes continue the stretch — see how far around the room you can peer. Stretch out the other arm in front of you — repeat. Read the rest of the article at WebMD. Do you ever listen to music at work to help keep focus? Do you have a particular artist or genre that you listen to in different moods? Dr. Ellen Weber says that research suggests many peoples’ tendencies to turn on some tunes exist because the brain rewards that behavior. Listening to music shifts your brain waves that control how neurons communicate. Gregorian chant creates quiet in our minds and can reduce stress. 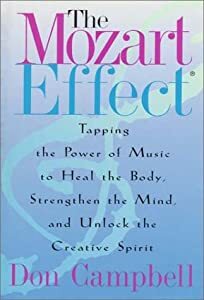 Slower Baroque music, such as Bach, Handel, Vivaldi or Corelli, can create mentally stimulating environments for creativity and new innovations. Classical music, such as Haydn and Mozart, often improves concentration and memory when played in the background. Romantic music, such as Schubert, Schumann, Tchaikovsky , Chopin and Liszt, enhances our senses and increases a sense of sympathy and love. Impressionist music, such as Debussy, Faure and Ravel, can unlock dreamlike images that put us in touch with our unconscious thoughts and belief systems. Jazz, blues, soul or calypso music can uplift and inspire us, releasing deep joy or even deep sadness, conveying wit and affirming our common humanity. Salsa, rhumba, merengue and any form of South American music sets our hearts racing, gets us moving, both relaxing us and awakening us at the same time. Big band, Top 40 and country music engage our emotions and comfort us. Rock music, from Elvis Presley to the Rolling Stones, stirs passion and activity, and so can release daily tensions. Rock can also mask pain and cover up unpleasant noises. It also has the power to create dissonance, stress or physical pain if we are not in the mood for energizing. Ambient or New Age music such as Stephen Halpern and Brian Eno has no dominant rhythm, so it elongates the sense of space and time, inducing a state of relaxed alertness. Heavy metal and hip-hop music excites our nervous system, and sometimes leads us into acting out dynamic behavior and self-expression. Religious and sacred music such as hymns and gospel moves us to feel grounded in the moment, and leads to deep peace and spiritual awareness. Sacred music often helps us to transcend pain. So the next time you feel down at work, consider getting out your headphones and listening to music while you work. It might just make your day a little brighter (and more productive). (OPENPRESS) January 21, 2010 — The manufacturing marketing research division of TR Cutler, Inc., (www.trcutlerinc.com) sponsored the national survey of more than one hundred U.S. manufacturers; all show that massage improved bottom line of employers. The study found that after twelve weeks, 269 employees who had once-weekly, 45-minute massages in the manufacturing workplace had dramatically better productivity, reduced absenteeism, included far fewer doctor visits, than a control group of 250 employees who did not receive the massage therapy. The massaged group experienced reduced stress and improved performance, while the control group did not. Read the entire article at The Open Press here.